A prominent New Zealand blues guitarist – of the electric variety – once told Bill Lake that any local blues players were lying if they didn’t admit they learnt about the blues from John Mayall. For New Zealand teenagers who came of age during the heyday of The La De Da’s and The Underdogs, that may well be true. But Lake demurred, albeit to himself. Slightly older, Lake’s experience was different. He became interested in the late 1950s, when the blues revival was a subset of the folk revival. When it was de rigeur for some left-leaning parents and their hipster offspring to include in their collections – alongside major-label folksingers such as The Weavers and trad jazz by the Chris Barber band – the odd blues disc by the likes of Josh White and Big Bill Broonzy. Also, Lake grew up in Australia where, he thinks, more records from the United States were played on the radio, whereas in New Zealand there were local bands covering British bands playing the blues (and pop). 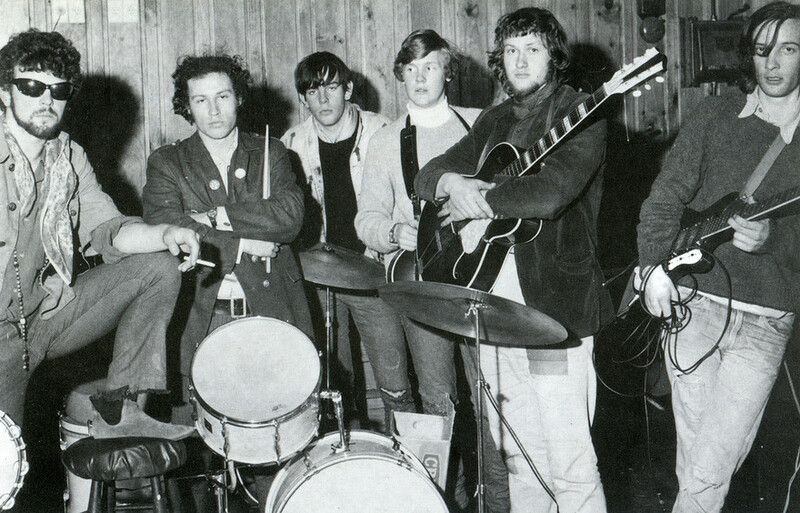 Arriving in Wellington in 1967, Lake quickly found musician friends with a taste for blues. 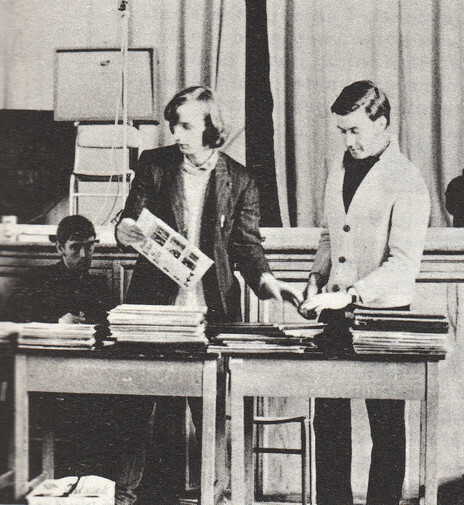 When he arrived in Wellington in early 1967, aged 19, Lake quickly found a group of musician friends who had deeper roots than the Rolling Stones and Mayall, though they were happy to cover their versions of R&B in their fledgling bands. Among them was Rick Bryant, whose parents were jazz fans and whose listening diet after the lights went out was the hip R&B programme of Cotton-Eye Joe (aka Arthur “Turntable” Pearce) on Wellington’s 2YD. On the folk scene, performers such as Max Winnie and Colin Heath were older and had made a study of blues roots. The scholarly approach of these players – and Pearce – laid the groundwork for Wellington’s dedicated and informed diet for the blues. In 1955 – when Lake was eight – his father was posted to Britain for three years. By 1957 Lonnie Donegan was in the hit parade and on television with his own genre, skiffle. “I still have the 10-inch LP, and it’s still really good. He was doing American folk music and blues, rather than the novelty records which made him famous”. On BBC television – in Australia the family didn’t have one – Lake saw the pioneering rock’n’roll programme Six Five Special, which featured Cliff Richard and the Shadows “which was pretty good”, and Lord Rockingham’s ‘Hoots Man’, a big-band instrumental led by a saxophone playing R&B solos. Through Donegan, Lake heard Lead Belly and Lonnie Johnson. “I was intrigued by that. By this time I was 12 or 13.” At the same time, Lake liked Elvis and Little Richard “in that period they talk about as the ‘dead’ period of rock’n’roll”: his sister was a fan of Bobby Vee, who was hired to front Buddy Holly’s Crickets after the plane went down. At Sydney University, Lake’s older brother Sam was hanging out with bohemian friends who were playing Lead Belly and Lightnin’ Hopkins records. Sydney University was a hotbed of slightly older intellectual talent such as Germaine Greer, Clive James and Richard Neville. Other than that, his parents were non-committal. What they were keen to see was Lake going to university. His mother had missed out, and his father – the son of a teacher at Bendigo’s school of mining – was the only member of his family able to reach the tertiary level. It was Sam who introduced Lake to Bob Dylan. “We slept in bunks, and one night he brought home some mates. I was trying to sleep, and they put on a reel-to-reel tape of what turned out to be The Freewheelin’ Bob Dylan.” On the other side was a woman with a high, pure voice. Lake was more taken by her voice than Dylan’s, so when his next birthday came around, he asked his father for one of her albums. He didn’t know that her name was Joan Baez. The doors were opening, helped along by the books of early blues scholars such as Samuel Charters and Paul Oliver: proselytisers whose works are still on Lake’s shelves today. He began buying mail-order albums from a Melbourne shop: Lead Belly, Sonny Terry and Brownie McGhee, on the Folkways label with thick vinyl and booklets of information inside. When Lake was about 15, his brother was in the UK studying for a PhD, and sent him the odd album: The Best of Muddy Waters, The Best of Little Walter. The young blues scholar enjoyed the Rolling Stones as much as any reader of ‘Go-Set’. The Achille Lauro steamed into Wellington harbour in February 1967, past a pod of dolphins; the day was sunny and warm. While Lake’s first impressions of Wellington may have been atypical, the welcome wasn’t, and he has lived in the city ever since. Lake and his friends slept on the floor of the alluring girl’s flat. He had brought with him two large boxes of blues LPs which were soon pored over by the local aficionados, starved of the real thing. Lake quickly met like-minded friends, at the upstairs bar at the St George Hotel, and the Balladeer folk club further up Willis Street. (By an odd coincidence Frank Fyfe, the Australian expat who started the Balladeer, knew Lake’s father.) He began playing harmonica with Paul Tolley at the Balladeer, and accompanying other singers on guitar. In mid-1967 Rick Bryant asked Lake to audition for the Original Sin, a fledgling R&B band that also included Simon Morris, Rod Bryant, Aff Fraser and Norm McPherson (a drummer who played standing up). “It was all Pretty Things, Stones, the odd Bo Diddley song, ‘Gloria’, that bunch of songs.” But the aspirant R&B performers didn’t get all their tips from the British invasion. “As a teenager Rick listened to a lot of jazz and Cotton-Eye Joe – he knew a lot about American music.” Other Wellington aficionados included Andrew Delahunty and Max Winnie. The Windy City Strugglers first played in March 1968 at the National Folk Festival in Wellington. In the group were Lake and the Rashbrooke brothers; Rick Bryant joined shortly afterwards. He and Lake were in Original Sin together, Bryant was also in Gutbucket, and Mammal began to form the following year. The folk denizens at the National Folk Festival were a little taken aback by Wellington’s fledgling jug band, taking its lead from Memphis in the 1920s. 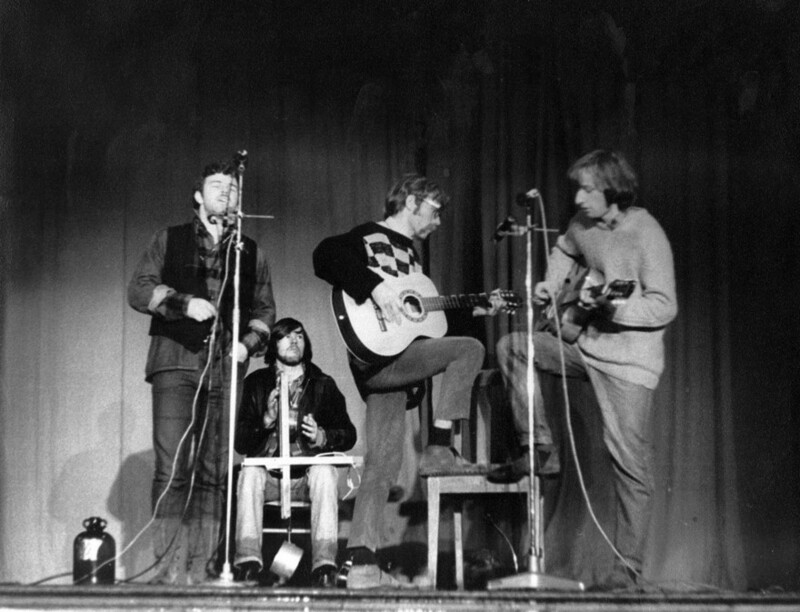 “Geoff took great pride – and Rick did too – that, as people who played real blues, we were out of place in the folk scene, which consisted of Dylan, and a lot of English folk.” While the folk scene was eclectic, its preference was for the British variety and its virtuoso guitarists such as Davy Graham, Bert Jansch and John Renbourn. Female singers enjoyed performing in the style of Judy Collins (who visited Wellington’s Monde Marie in the late 1960s). Ground zero for the city’s counterculture was a bar in the Duke of Edinburgh, a pub on the corner of Willis and Manners Streets. (In 1964 the Beatles looked down upon it from the balcony of the St George.) It was a home for bohemians, the artistically oriented “… and criminals,” says Lake. The public bar was on the corner, and while some of its “rougher” patrons strayed into the artists’ bar, the traffic didn’t go the other way. The cultural clientele was “mostly students, a few journalists, and probably musicians like Bruno who weren’t actually students but hung out with them. Geoff Murphy. A certain kind of petty criminal element, who were also bohemians. Some had jobs but they would have taken their tie off to go to the Duke. Afterwards, there would be parties in nearby, rundown flats on streets such as McDonald Crescent, location of squats, an urban commune and James K Baxter’s ‘Firetrap Castle’. Janis Joplin and Rolling Stones on the turntable, over and over, flagon beer and, occasionally, “really horrible wine”. The windy city music scene in which Lake was moving was underground, almost oblivious to the promoters putting pop acts in the clubs and getting them recorded at HMV on Wakefield Street. To the promoters, it was an industry, an income. Lake’s slide guitar playing can be heard on 'Work Song', recorded by the Wellington’s Capel Hopkins Blues Dredge led by pianist and vocalist John Hannan. It appears on the 1970 Ode compilation of Wellington blues acts, In the Blue Vein. Bill Manhire once described Wellington as a boutique city. The weather is often hostile, which drives like-minded people indoors to create. Roger Watkins picks this up when describing Gutbucket in his book When Rock Got Rolling: the Wellington Scene, 1958-1970. “By its very nature, blues lends itself to the pastime known as jamming. This is great fun for participants, but it can be confusing and tedious in the extreme for onlookers. And so it would prove, over the next 50 years. To be continued: Mammal, the Pelicans, the Living Daylights, the Windy City Strugglers – and Bill Lake solo.